George Bernard Shaw was enchanted by this beautiful city, about which he said “those who seek paradise on Earth should come to Dubrovnik”, as well as, famously, describing it as “the pearl of the Adriatic”. It really is a stunning city with an amazing Old Town, which became a UNESCO World Heritage site in 1979. But whatever we and others say, our words do not give justice to this dazzling place. So come soon and see it with your own eyes! As mentioned, the Old Town and its many sights (including the well-preserved city walls along which you can walk) is one of the top attractions here. The Old Town is also famous for Stradun (also known as Placa), the main thoroughfare – one of the greatest pleasures for many visitors is to have a drink in one of the nearby cafes and watch the world go by, whilst they themselves are being watched by the city patron, St. Blaise, or Sveti Vlaho as the locals call him. If you are visiting in the summer, do not miss the world-renowned Dubrovnik Summer Festival, with music, theatre and dance performances. Flying to the city – and other means of transport! Read up on the top sights here, including must-sees! Visiting this tiny island that’s very close to Dubrovnik – perfect for an afternoon visit! Take a look at our photos! The Dubrovnik Walls Walk gives an idea of what you can see as you walk on the Old Town Walls, whilst we also have Photos of Dubrovnik and Photos of Dubrovnik 2. Visit Croatia Recommends If you’re looking for an organised excursion from Split, Omis or Makarska, Sunspot Tours offer small group or private tours from these coastal towns direct to Dubrovnik. This highly-rated company can organise private and flexible tours for individuals, families or small groups using impeccably maintained vehicles with friendly drivers. Alternatively, you can also book yourself onto a small group tour with other travellers – these tours use small minivans, so no large and crowded tour buses here! Ultimately, Sunspot Tours can offer fully customisable tours to Dubrovnik – contact them to find out what they can do for you. There is a good bus service in the city (see routes and timetables at the Bus Terminal website) and you can also get around by taxi. To get between the Airport and the town centre (or vice versa), see our special page on To and From Dubrovnik Airport. The area code is 020. 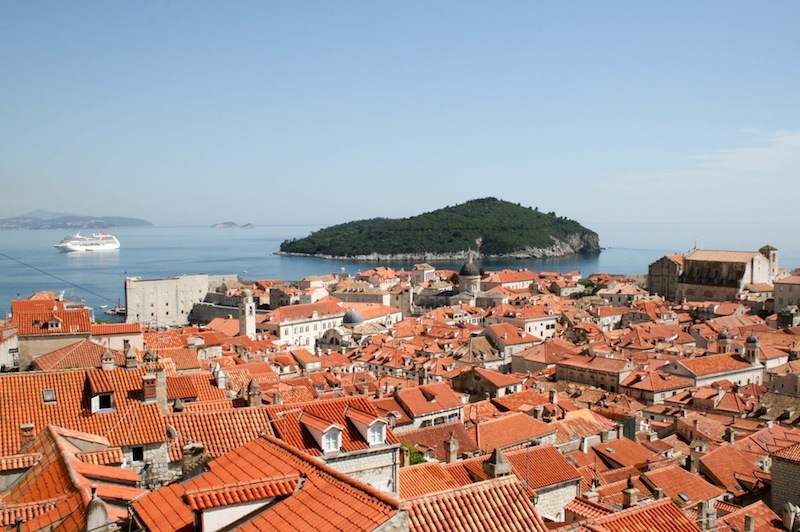 The tourist Office is at Svetog Dominika 7, 20000 Dubrovnik, tel: +385 (0)20 312 011, email: info@tzdubrovnik.hr.